Continental and United today announced a definitive merger agreement, creating the world’s leading airline with superior service to customers, expanded access to an unparalleled global network serving 370 destinations around the world, enhanced long-term career prospects for employees, and a platform for improved profitability and sustainable long-term value for shareholders. The all-stock merger of equals brings together two of the world’s premier airlines, creating a combined company well positioned to succeed in an increasingly competitive global and domestic aviation industry. Glenn Tilton, chairman, president and chief executive officer of UAL Corp., will serve as non-executive chairman of the combined company’s Board of Directors through December 31, 2012 or the second anniversary of closing, whichever is later. Jeff Smisek, Continental’s chairman, president and chief executive officer, will be chief executive officer and a member of the Board of Directors. He will also become executive chairman of the Board upon Tilton’s ceasing to be non-executive chairman. The combined organization will draw on the talented group of leaders from both companies, and key management positions will be determined prior to the transaction’s closing. The combined company’s management team is expected to include an equitable and balanced selection of executives from each company with the intention that each company will contribute roughly equal numbers. In addition to Smisek and Tilton, the 16-member Board of Directors will include six independent directors from each of the two companies and two union directors required by United’s charter. The holding company for the new entity will be named United Continental Holdings, Inc. and the name of the airline will be United Airlines. The marketing brand will be a combination of the brands of both companies. Aircraft will have the Continental livery, logo and colors with the United name, and the announcement campaign slogan will be “Let’s Fly Together.” The new company’s corporate and operational headquarters will be in Chicago and it will maintain a significant presence in Houston, which will be the combined company’s largest hub. Additionally, the CEO will maintain offices in both Chicago and Houston. The combination of United and Continental brings together the two most complementary networks of any U.S. carriers, with minimal domestic and no international route overlaps. The combined company will offer enhanced service to Asia, Europe, Latin America, Africa and the Middle East from well-placed hubs on the East Coast, West Coast, and Southern and Midwestern regions of the United States. The combined company will have 10 hubs, including hubs in the four largest cities in the United States, and will provide enhanced service to underserved small- and medium-sized communities. The combined carrier will continue to serve all the communities each carrier currently serves. Together, Continental and United serve more than 144 million passengers per year as they fly to 370 destinations in 59 countries. Employees will benefit from improved long-term career opportunities and enhanced job stability by being part of a larger, financially stronger and more geographically diverse carrier that is better able to compete successfully in the global marketplace. The companies believe the effect of the merger on front-line employees will be minimal, with reductions coming principally from retirements, attrition and voluntary programs. The company will provide employees with performance-based incentive compensation programs focused on achieving common goals. The combined company will be focused on creating cooperative labor relations, including negotiating contracts with collective bargaining units that are fair to the company and fair to the employee. 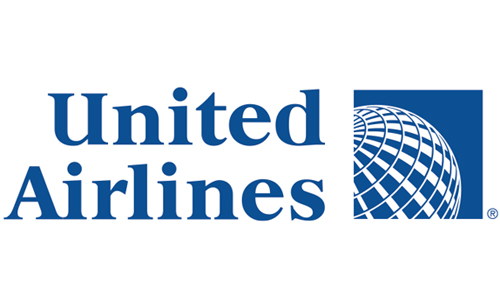 On a pro forma basis, the combined company would have annual revenues of approximately $29 billion based on 2009 financial results, and an unrestricted cash balance of approximately $7.4 billion as of the end of first quarter 2010, including United’s recently closed financing transaction. In the merger, Continental shareholders will receive 1.05 shares of United common stock for each Continental common share they own. United shareholders would own approximately 55% of the equity of the combined company and Continental shareholders would own approximately 45%, including in-the-money convertible securities on an as-converted basis. The merger is expected to deliver $1.0 billion to $1.2 billion in net annual synergies by 2013, including between $800 million and $900 million of incremental annual revenues, in large part from expanded customer options resulting from the greater scope and scale of the network, and additional international service enabled by the broader network of the combined carrier. Expected synergies are in addition to the significant benefits derived from the companies’ existing alliance and expected from their future joint venture relationships. The combined company is also expected to realize between $200 million and $300 million of net cost synergies on a run-rate basis by 2013. One-time costs related to the transaction are expected to total approximately $1.2 billion spread over a three-year period. The combined airline will have the most modern, fuel-efficient fleet (adjusted for cabin mix) and the best new aircraft order book among major U.S. network carriers. It will have the financial strength to enhance customers’ travel experience by enabling it to invest in globally competitive products, upgrade technology, refurbish and replace older aircraft, and implement the best-in-class practices of both airlines. The merger will create the industry’s leading frequent flyer program, offering vast opportunities for customers to earn and redeem miles, including on Star Alliance partners. United and Continental are members of Star Alliance, the world’s largest airline network. Star Alliance customers will continue to benefit from service to over 1,000 destinations, more connecting opportunities, additional scheduling flexibility and access to leading reciprocal frequent flyer and airport lounge benefits with Star Alliance’s 24 other member airlines around the world. The merger, which has been approved unanimously by the Boards of Directors of both companies, is conditioned on approval by the shareholders of both companies, receipt of regulatory clearance, and customary closing conditions. The companies expect to complete the transaction in the fourth quarter of 2010. During the period between signing and closing of the merger, the CEOs of both companies will lead a transition team, which will develop a specific integration plan. J.P. Morgan Securities Inc. and Goldman, Sachs & Co. acted as financial advisors and provided fairness opinions to United, and Lazard and Morgan Stanley acted as financial advisors and provided fairness opinions to Continental. Jones Day, Vinson & Elkins LLP, and Freshfields Bruckhaus Deringer LLP acted as legal advisors to Continental, and Cravath, Swaine & Moore LLP acted as legal advisor to United.